I ABSOLUTELY love it when a teacher's inquiry leads to one of my all time favorite aspects of librarianship: creating engaging research projects for kids!! So, when a fifth-grade teacher stopped in the library for her morning cup of coffee, and asked me if I had any ideas for a dinosaur research project for her reading group, I was thrilled. REALLY. It was the near the end of the year; tests were over; kids were tired. It was the perfect time to create a bit of research magic. Could I pull anything together for this group of boys, struggling to read and with less enthusiasm for research than getting their teeth pulled out one by one? You betcha!! I had an idea, and I knew that those boys were going to love it. From the moment that I had cracked open the book series, Dinosaur Wars, by Michael O'Hearn, I knew that THIS concept, a battle of beasts, would be the perfect foundation for a research project. This book series by Capstone is a favorite among my dinosaur lovers. Each book gives you factual information about two different dinosaurs, focusing on their strengths and weaknesses, and then pits the two dinosaurs in a battle. The book culminates with a narrative of this showdown. What kid, well what tween, does NOT love the gnashing of teeth, the gory flow of prehistoric blood, and the demise of at least one of the ferocious beasts!! 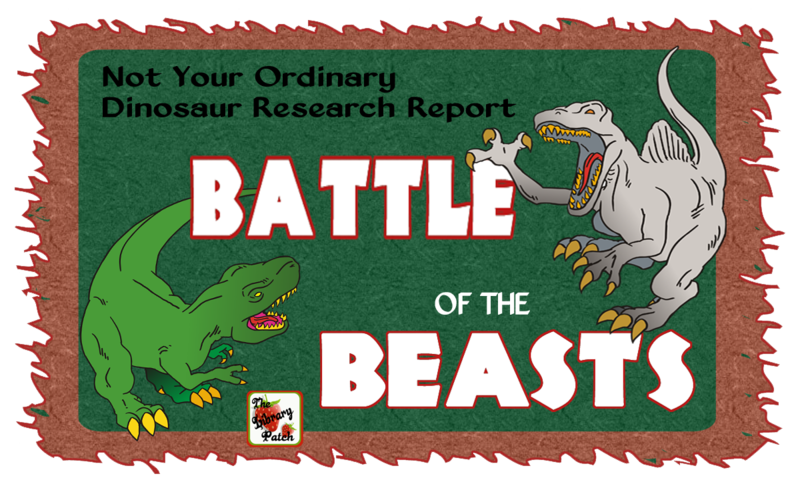 Thus, our dinosaur research project, Battle of the Beasts was born. WE HAD A BLAST! Students researched an assigned/chosen dinosaur, and then partnered with a peer who had researched a different dinosaur. Students used the knowledge that they acquired and their research notes to put their dinosaurs together in an imaginary head to head combat. 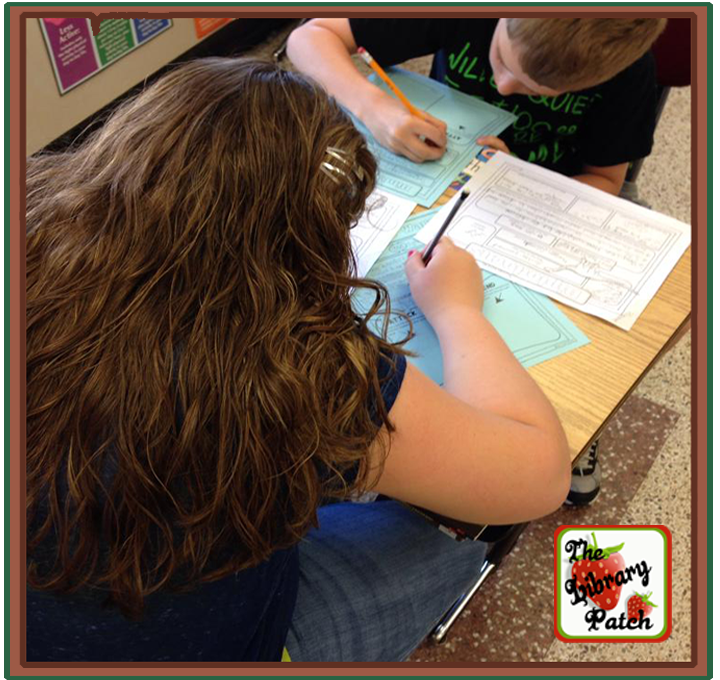 After students put their dinosaurs to the test, they took their notes and their ideas and created a written narrative of the battle that would have taken place if these two dinosaurs were to meet. 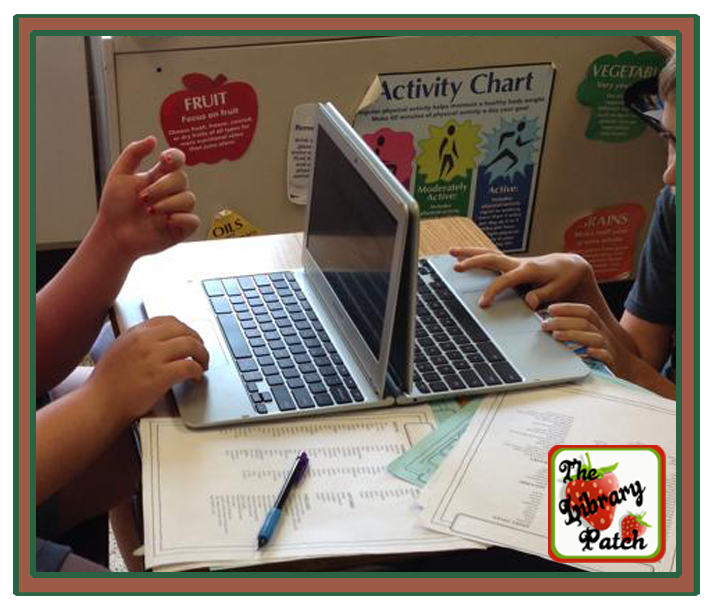 They typed their narratives into a Google Document using their Chromebooks. Ultimately, students created a research poster outlining pertinent facts about their dinosaur and a narrative describing the battles that their dinosaur confronted. How about a little testament to the kids' genuine enthusiasm for this project? Their teacher said that students were visiting her during their free time ASKING if they could work on their battles. Now, that warms this librarian's heart. Ready to do battle yourself? Well, you are in luck. Click HERE or on the pix below to take you to a FREE project outline. The project outline includes links to a couple of great videos that you can use to get your kids hooked, a hyper-linked list of dinosaur research websites, a step by step guide on how I conducted this project, and a free graphic organizer. It's everything that you would need to prepare for a battle of epic proportions! !